May 2015 bring you peace, good health, prosperity and lots of laughter! This memory was posted in Special Occasions on January 1, 2015 by Grandma Kc. The junction of one happy year ending and another beginning! That little girl is the sparkle in your life – and both you and grampy are part of the solid base from which she thrives and gets smarter and prettier and more self-confident everyday. I’m usually annoyed at that term “win-win” but in your case, it describes everything perfectly! Great photos! Cheers to 2014 being behind us and good things on the path ahead! Happy New Year! Happy New Year KC to you and your family!! Cheers to a healthy and happy 2015! Great picture. 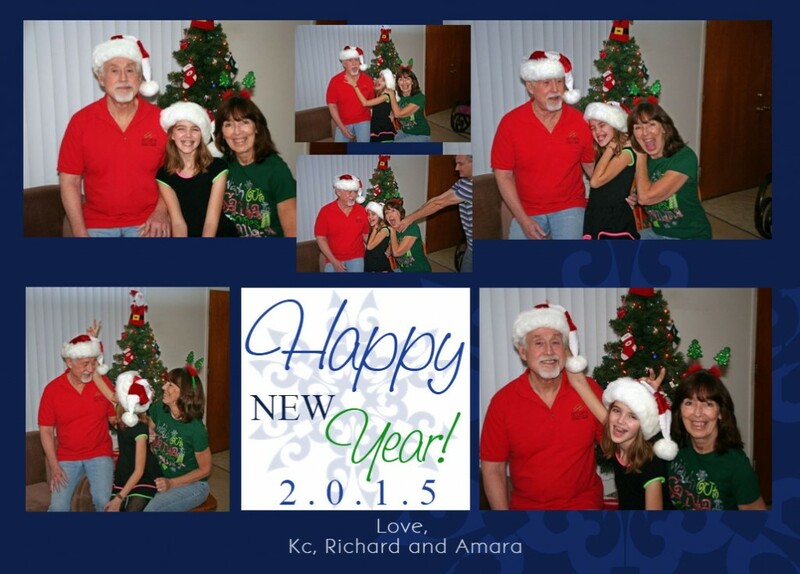 Happy New Year to you, Richard and Amara!!! I love the pictures. They made me smile! Happy new year to you! Happy New Year! What a beautiful card! Looking forward to 2015 in Amaraland! A picture of happiness. I wish you a wonderful 2015!